Our rescue is proud to be a force-free, positive reinforcement focused rescue. Training your dog should be fun for you and your pooch. Using positive reinforcement ensures that you develop a healthy relationship with your dog during training sessions. This method is based on the scientific research and proven to be the best way to teach your furry friend how to be a good dog citizen. Check out the links below to get support with training your pet. Anyone planning to adopt a dog should plan to enroll in force free training classes with their new family member in order to develop a strong bond with your new pet. If you plan to adopt or are in the process of adopting a dog under 12 months of age, or one that has behavioral concerns, it is mandatory that you enroll in force-free training with your new pet, according to our policies and procedures. You can us to refer you to a force-free trainer in your area, or check out Companion Veterinary Clinic Dog Training. A portion of every puppy class fee is donated to Paws in Need to help pay for veterinary care for our animals in need! - Private in-home or in-clinic sessions for teaching your dog everything from foundation behaviours and manners to behaviour issues such as anxiety, PTSD, compulsive behaviours, leash reactivity and aggression. Sessions are 1 hour and are $85 plus tax. Sessions can range anywhere from 4 sessions (basic foundation skills) to 10 or more sessions for more pressing behaviour issues. - Puppy Socialization and Exploration: these classes are geared towards puppies in their critical socialization period to explore, socialize, and learn fundamental skills necessary for proper mental development. You will also learn about how we, as humans, can make learning and husbandry fun for our new puppies! This is a 4 week program that includes 4 puppy classes and 1 human-only orientation. Puppies must be 13 weeks or younger by the starting date. Class enrollment is on a rolling bases, so you may begin as soon as a spot is available. - Puppy Foundations Level 1: This is the next step in teaching your new puppy proper manners. They touch on all the basics: recall, sit, down and place with stay (adding distance, duration and distraction), loose leash walking etc., plus a fun trick of the week. This is a 4 week program that includes 4 puppy classes. This class is open to puppies who have completed Puppy Socialization and Exploration or one private session and is open to puppies up to 6 months of age. Class enrollment is on a rolling bases, so you may begin as soon as you have completed the prerequisite and there is a spot available. - Puppy Foundations Level 2: This is the next step in teaching your new puppy proper manners in a more distracting setting, in the presence of other dogs. We build on all the behaviours taught in Level 1: recall, sit, down and place with stay (adding distance, duration and distraction), loose leash walking etc., plus tricks each week. This class is open to puppies who have completed Puppy Foundations Level 1 and/or had one or more private session(s) to prepare for class. Classes are customized to the participants each week and are on more of a week-to-week basis. You can book your class by emailing jessica@companionvet.ca. ﻿﻿﻿Click the email button below to book a session for your pet, or ask about training your pooch with Companion Veterinary Clinic Dog Training. Looking for great force free trainers? Check out Alberta Force Free Alliance! 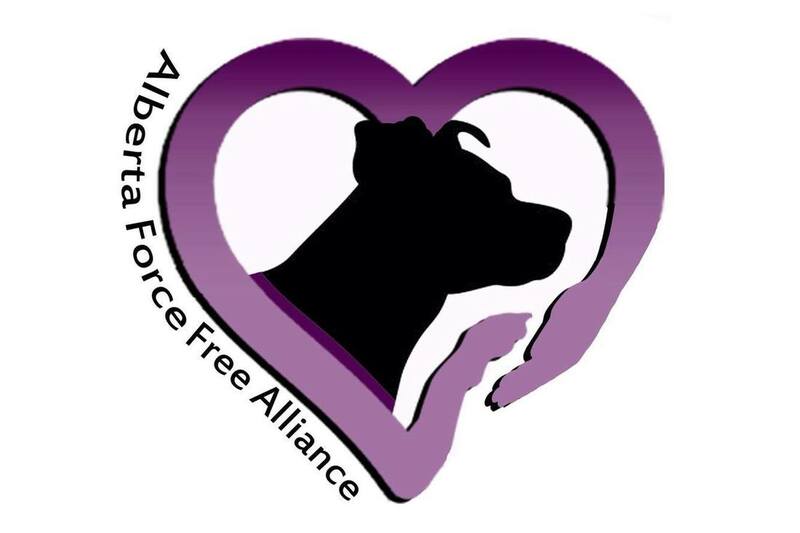 The purpose of the Alberta Force Free Alliance is to provide a one-stop resource for dog owners who are passionate about ensuring all dogs are handled in a loving and force free manner in all areas of their lives, be it training, veterinary services, grooming, doggy daycare, rescues, breeders, kennels and boarding, animal events or retailers. Everyone listed in the resources has signed a pledge promising that dogs entrusted to their care or under their instruction are handled without intentional intimidation, flooding, force or pain, and with as little restraint as is safe for the dog and humans involved and without intent to cause harm. The retailers listed will not sell or promote any training accessories that work based on the principle of scaring or inflicting pain such as citronella collars, ultrasonic bark deterrents, pet correctors, choke collars, prong collars or shock/bark/e-collars. To create a business directory for Alberta dog owners of dog related businesses that adhere to force free and humane training and handling of dogs with everything they do and to educate and spread the knowledge of scientifically researched and recommended methods of force free and humane training and handling of dogs. To provide a resource for dog owners wanting to make force free and humane choices for their dog's needs and to provide education to participating businesses and the general public in helping them understand the benefits of force free humane methods.